Rajnita is a trained Bhartanatyam dancer and an accomplished teacher. She has been trained in the Kalakshetra tradition for over 15 years. Rajnita’s initiation into Bharatnatyam was under the expert guidance of Smt.Minal Prabhu, one of Bangalore’s leading danseuse. On moving to Delhi, she started training under internationally renowned Bharatnatyam dance exponent Smt. Jayalakshmi Eshwar. She has been involved in the various productions of Mudrika and Abhinaya Aradhana dance schools, which include Ritu Manjari, Panchatantra, Varshneya Vilasa, Mystical Seven, Himswetha to name a few. She has toured Egypt, Japan, Libya, Syria giving performances through the Indian Council for Cultural Relations (ICCR). 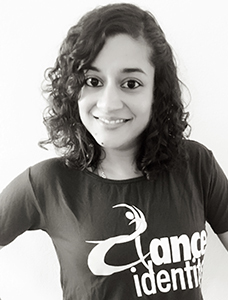 Her zeal and enthusiasm to spread the dance form, led her to start teaching once she moved to the US. She is excited about starting out in California after teaching and hosting performances for kids and adults in Dallas and Bentonville.